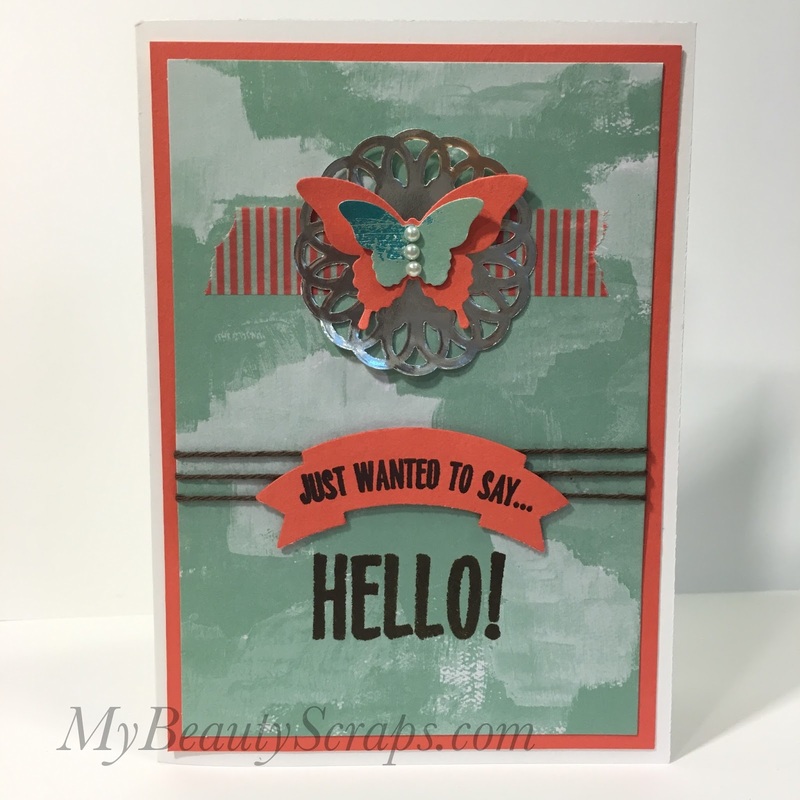 I am sooo loving this month's Paper Pumpkin kit, Bold Botanicals! In the video below you can see everything included in the kit this month and how to create the projects as they were originally designed. I like to tweak the designs and think of ways to stretch my kits to create even more cards. 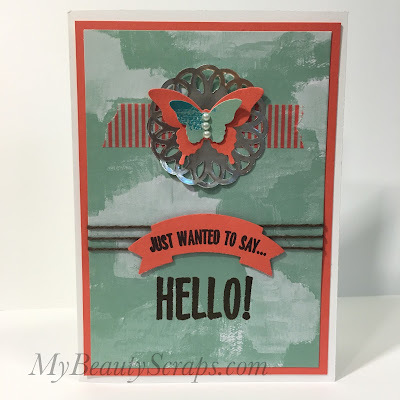 For this card, I used the smaller sized doily from the Metallic Foil Doily assortment. I just love these doilies! I have to restrain myself from using them on every card I make! I also used some of my favorite punches. Those butterfly punches are prefect to create your own embellishments for cards and scrapbook pages. And the banner duet punch is a new favorite from this year's catalog. 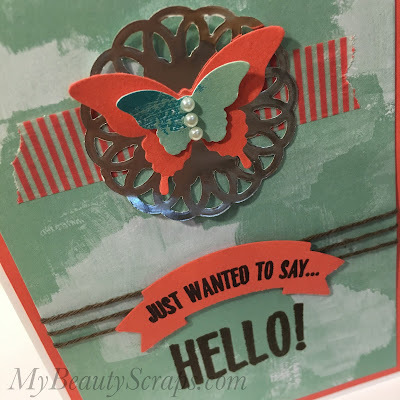 It really makes sentiments pop and I love using it in my project life album! In the video below I share how quick & easy it is to create this alternate card design. Make sure you subscribe to my YouTube channel so you don't miss any of the other fun alternate card ideas I'm going to share. I still have lots of stuff left from this kit & so many ideas! Now is a great time to give Paper Pumpkin a try! For the FIRST time ever, FIRST-time subscribers can buy their FIRST month and get their second month completely FREE!!! 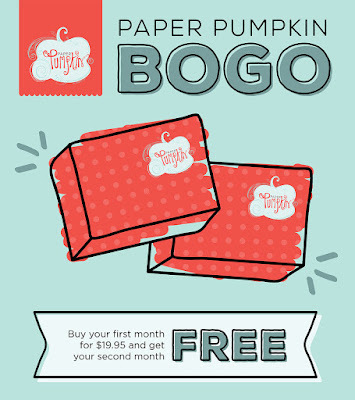 Sign up at PaperPumpkin.com and use BOGO for the promo code.